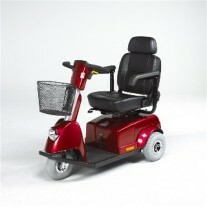 Mobility scooters provide seniors with independence and movement. 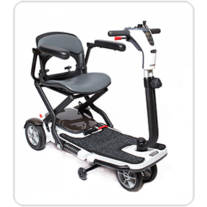 Daily tasks such as grocery shopping, walking the dog and paying bills are within reach for seniors with this fantastic mobility device. 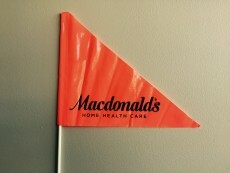 Macdonald’s Home Health care is proud to offer the finest selection of mobility scooters in Vancouver. Our brands include Shoprider, Pride, Fortress and more. 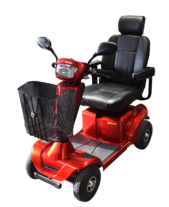 Looking to rent a scooter for a shorter period of time? Check out our Shoprider Cobra, for only $300 a month. 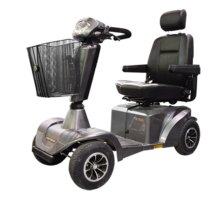 Also, read more about our rent-to-own program, in which you can try out a scooter for a period of time, all the while paying towards the equipment’s possible purchase in the future! 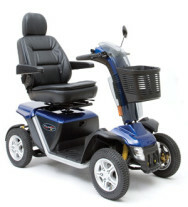 Invacare Colibri three and four wheel micro-portable scooters come charged with the latest in comfort, convenience and design elements. The ultimate compact, foldable travel scooter. 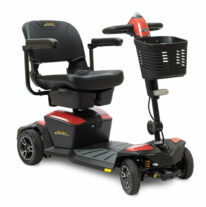 Ready for transport and easily folded, the 4-wheel Go-Go® Folding Scooter is perfect for the active lifestyle. Superior durability, reliability and comfort. 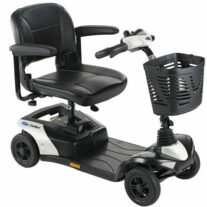 3 or 4 Wheels - Perfect for everyone! 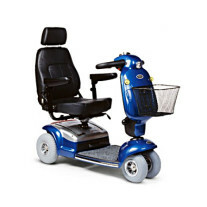 The Pursuit® XL is an exciting blend of power and precision that features full suspension, low-profile tires and a hydraulic-sealed brake system.